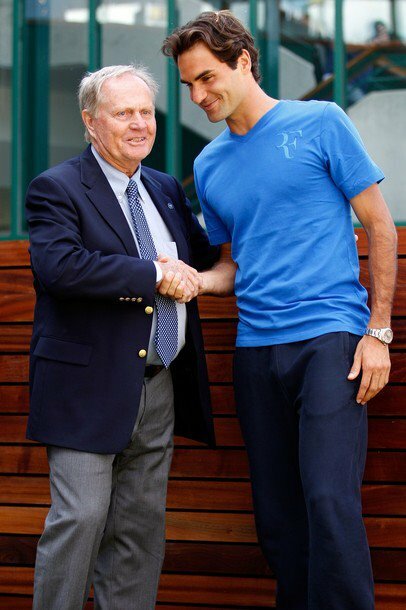 Roger Federer met golf legend Jack Nicklaus today at the All England Club, Wimbledon. Known as “The Golden Bear,” Nicklaus has 18 majors to his name as well as 73 wins on the PGA Tour. He is the greatest golfer of all time. 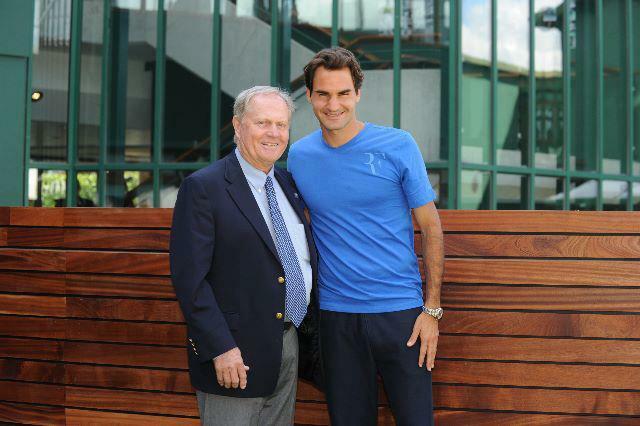 In a legendary meet similar to last year on the grounds (Federer meeting Sachin Tendulkar), the Swiss maestro spent time with Nicklaus and took a few photos as well. Federer is coming off his 5 set victory yesterday over Julien Benneteau. He is off for the weekend and will take on Xavier Malisse in the 4th round Monday at Wimbledon. 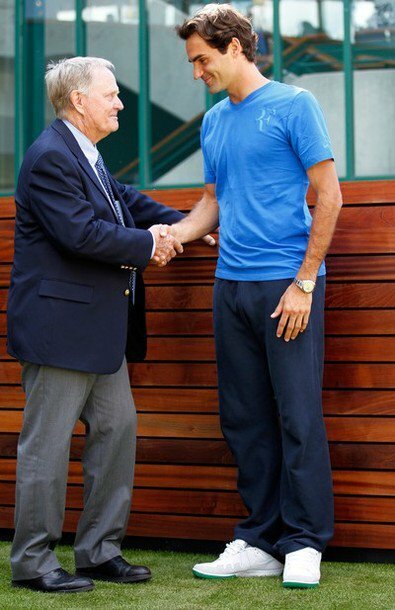 See the Federer breakdown of the draw here. Watch full coverage of the championships on FF07tv. Download the Wimbledon iPhone app here.